Mangaluru: CRZ commitee grants NOC to Lakshadweep for construction of office. 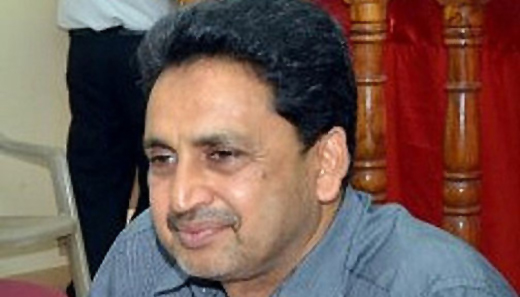 Mangaluru: June 30, 2015: Dakshina Kannada Coastal Regulation Zone Management Committee has decided to grant no objection certificate (NOC) to Lakshadweep Administration for the construction of their office and other amenities at Bunder in the city. Committee resolved to grant NOC at a meeting convened by deputy commissioner A B Ibrahim on Monday. The meet resolved that NOC may be issued for the construction of office, residential and a warehouse at Bunder for Lakshadweep administration. The Island administration owns land at Old Port area in the city and it is located outside the purview of CRZ notification. The land falls under CRZ - II area. Lakshadweep administration had submitted applications seeking NOC from the committee. Following this, the committee held during its meet that Lakshadweep may take up construction of new buildings in their land. Accordingly, as per the Town and Country Planning Act, the committee took a decision in favour of Lakshadweep. The committee also verified several other applications that sought NOC for construction activities at Bengre on the coast of Mangaluru. No decisions were taken on applications received for the construction of city police welfare building, canteen, police guest house, city armed reserve office and parade ground. The proposed site for the construction of city armed reserve office and parade ground falls within CRZ - I area. Hence, the meet resolved to take a decision on the applications after conducting a spot inspection. An application submitted by a private company to set up storage facilities for chemical products at Thannirbavi on the coast too has been kept pending for spot inspection.